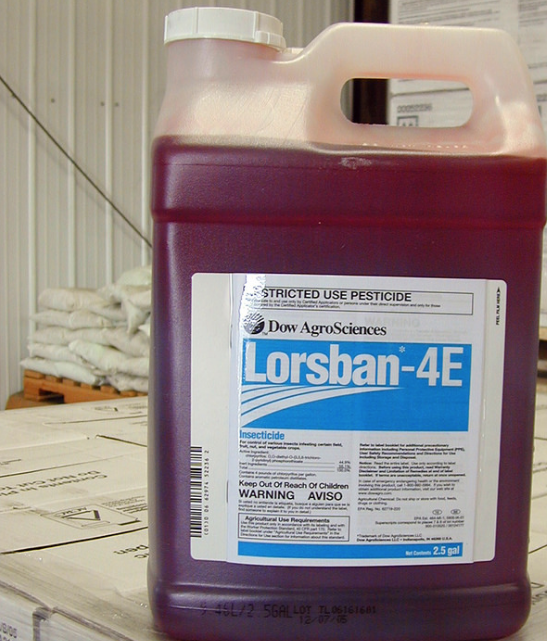 DowDuPont markets chlorpyrifos under the brand name Lorsban. In a decision that surprised many, a federal court released a decision Thursday ordering the U.S. Environmental Protection Agency (EPA) to effectively ban the pesticide chlorpyrifos. In a two-to-one vote, a panel of U.S. Court of Appeals for the Ninth Circuit judges "vacated" the EPA’s 2017 decision, under administrator Scott Pruitt, that the pesticide would continue to be allowed to be sprayed on crops. The court also told the EPA to revoke and cancel all registrations for chlorpyrifos within 60 days. Among the groups that petitioned the appeals court to review the EPA’s 2017 order were the League of United Latin American Citizens, Learning Disabilities of America, the United Farm Workers and a number of states, including California. One of the judges dissented. Judge Ferdinand Fernandez said it was his opinion the panel didn’t have jurisdiction to review the EPA’s decision to not ban chlorpyrifos. Mark Weller is co-director of the group Californians for Pesticide Reform, a group that has worked for several years trying to stop the use of the pesticide. He said chlorpyrifos applications are common in the San Joaquin Valley on citrus and nut crops, and in the Salinas Valley on grapes. The pesticide is used on fruits, vegetables and nuts. In 2000, the U.S. EPA and the state of California phased out the use of chlorpyrifos for residential and urban use, due to health dangers. The EPA and growers also agreed to stop using chlorpyrifos on tomatoes, and time applications to apple and grape crops to when the plants were dormant. In late 2017, the state’s Department of Pesticide Regulation announced new rules for pesticide applications within a quarter-mile of public schools or day-care centers. No longer could growers apply pesticides Monday through Friday from 6 a.m. to 6 p.m. And the growers had to notify school administrators of the pesticides they intended to apply. In one April 2018 notification to Vista Verde Middle School in Greenfield—in the middle of the Salinas Valley—the managers of adjacent farmland listed 94 pesticides, herbicides, fungicides and other chemicals "expected to be used no sooner than 48 hours after this notification is provided and no later than June 30, 2019." Chlorpyrifos is on the list. 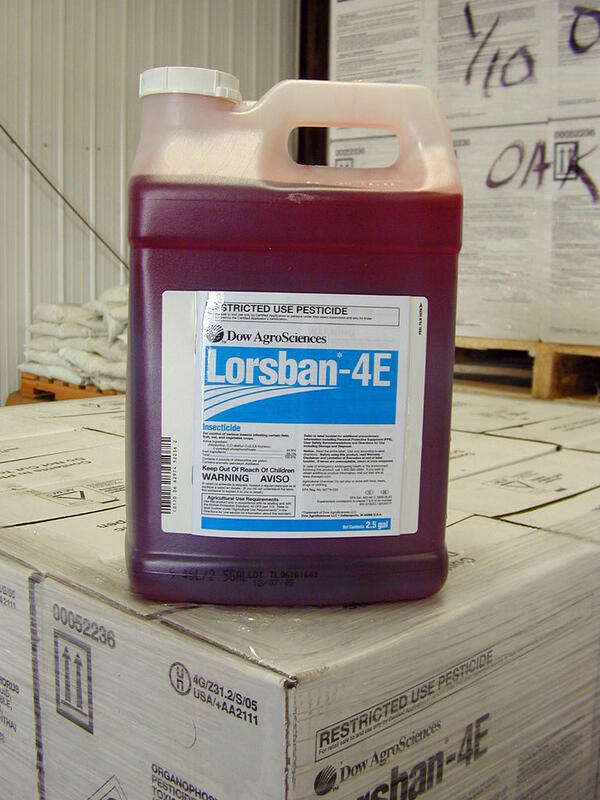 UPDATE 08/10/18: KCBX News reached out to the grower who filed the above notification, REFCO Farms, LLC, and row crop farm manager Mark Manzoni replied, "We have not used Lorsban in years, ever since it was added to the groundwater protection." When asked if the notification submitted to the school and the county agricultural commissioner's office was incorrect or inaccurate, Manzoni replied, "Inaccurate, it should have been removed. FYI, just because it is on a permit does not necessarily mean it will be used." A group of nine scientists on California's Scientific Review Panel agreed that a pesticide used on more than 60 crops, grown in the Salinas Valley and around the state, should be listed as a toxic air contaminant. California’s list of chemicals harmful to humans is about the get longer. 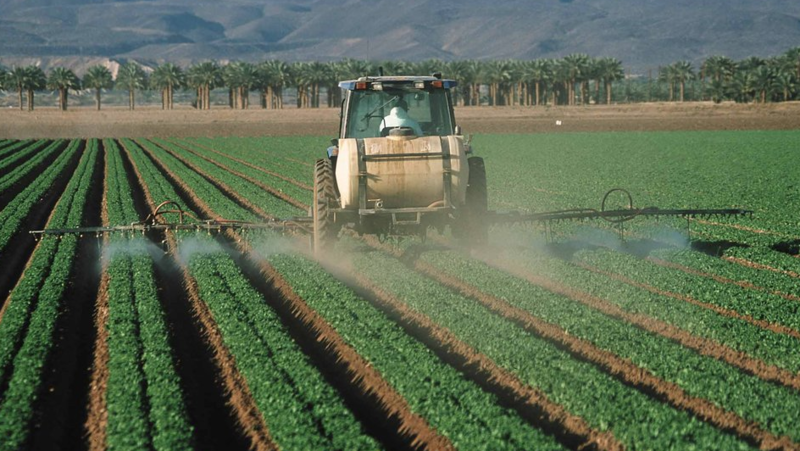 An agricultural pesticide widely used on the Central Coast is joining the ranks. 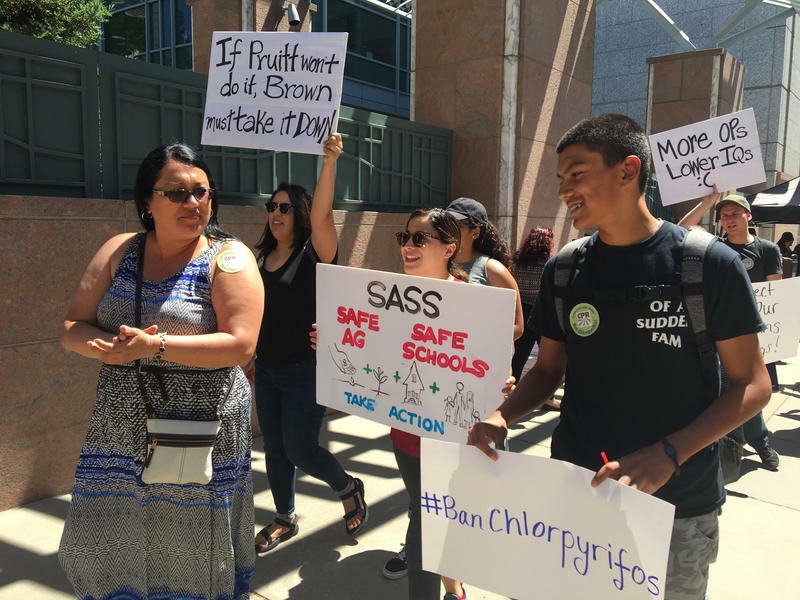 Farmworkers and activists plan to gather Friday at noon in Salinas; they are rallying to publicly call on Governor Brown to ban a pesticide called chlorpyrifos. The U.S. Environmental Protection Agency (EPA) was scheduled to announced on March 31 the equivalent of a total ban on the pesticide because a court and EPA scientists had found it unsafe. But under the Trump administration, the EPA reversed its ban decision on Wednesday.